The HP indigo 12000 press is creating some buzz in the digital production printing and photobook markets. 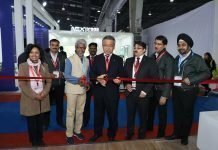 At HP’s stand in the Printpack India show, we witnessed the many doors this digital press is opening to innovation and creativity. Ideas that were thoughts and imagination come alive with the HP Indigo 12000. 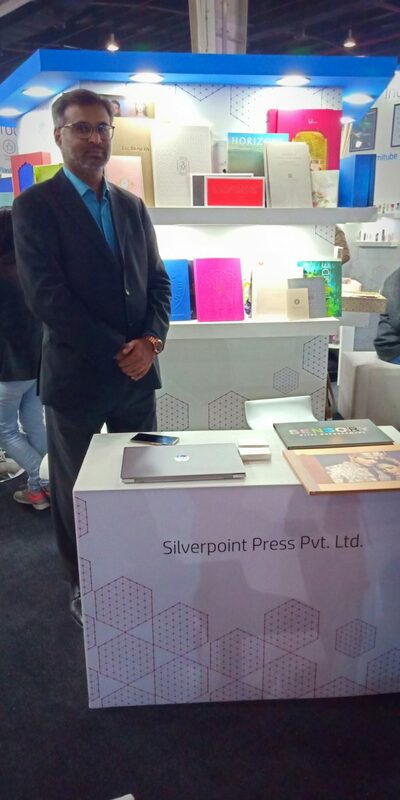 We met Saifee Makasarwala, chief operating officer of Silverpoint Press in Mumbai, at HP’s stand at the show. Silverpoint Press is a well-known commercial printer, who also prints magazines and high value coffee-table books. 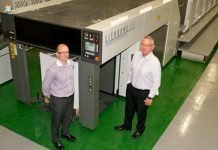 Silverpoint is an experienced HP Indigo digital press customer having bought and installed an Indigo 3500 six years ago. 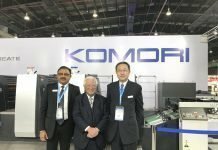 More recently, it became one of the first Indian customers of HP Indigo 12000 press that was first shown at drupa in 2016. Among its many features, including the B2 format size, the Indigo 12000 is capable of using flourescent inks such as a flourescent pink that is visible even in the dark. When we asked Makasarwala for some of the reasons for buying the Indigo 12000 when there might have been other options available, he replied, “We observed that the maximum sheet size was the main constraint and that limited us from being up to date in the present market. 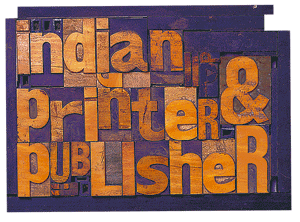 This was one reason for buying this HP Indigo press at a price in which we could perhaps have bought two offset machines, but the results from HP Indigo 12000 are outstanding and it serves a purpose that the offset presses could not have. 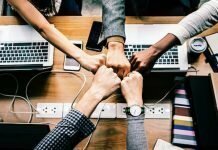 Yes, the press is expensive, but it can increase the entire basket of products that we can offer to the market. 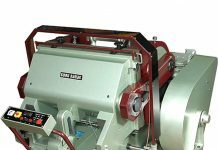 The biggest advantage of the machine is its turnover time and with its 7 colors it can accurately produce the Pantone colors and shades. It’s an excellent option for short-run packaging on virgin board stocks. In addition, the press is known for its instant production from digital files in no time at all and for its high quality and consistency. 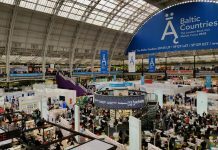 With its own kiosk on the HP stand at Printpack, Silverpoint is hoping to meet new customers who may be brand owners, packaging designers and others interested in the possibilities of short-run and personalized printing and packaging. The idea at the stand is to be able to share the entire workflow and production process and to show some of the outstanding samples already generated by the creativity of Silverpoint and its customers.